Naor's Story from AFMDA on Vimeo. Maayan will star in the short "10 Years Married" with John Henry Soto this fall - more details to follow! 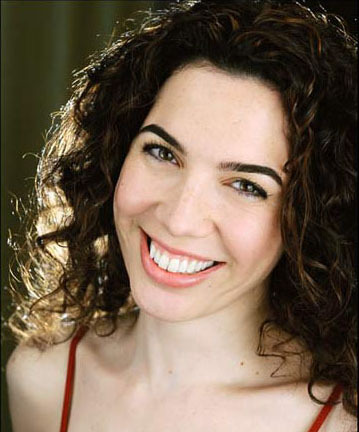 Maayan played an inspirational speaker in a voiceover role for Galia Barkol's new feature, "Then What Happens". We are almost there!!! THE KIDS MENU, starring Nyle Lynn and Vincent Pastore is shooting next month. In addition to acting in the film, Maayan serves as one of its Executive Producers. Maayan is playing Claire with the Pageant Hair in a reading of Angela Church's "Portrait in Azalea Blue". Maayan is co-producing Peter Skagen's Master Class in Screen Acting at The Actors Connection and his "Transitioning from Theater to Film" seminar at NYC's Reproductions. Click here for the 8-minute pilot for John Henry Soto's new Web Series,"Write in Bayonne"! Maayan plays Joe's concerned wife. Maayan was excited to be John's first guest of 2015 on his and Casey McDougal's show "Something's Brewing"! They talked about the importance to an acting career of being a self-starter, learning to crowdfund for your own project, and (of course) playing a zombie. Maayan had a great time working behind the camera this time as Crew for the new Web Series These Three Girls! Maayan was invited to be one of the Israeli artists Honoring AICF's 75th Anniversary; for her entry and those of her fellow Israeli artists, please click here. Maayan played a young-Barbara-Walters type interviewer for a new film's promotional trailer...more to follow when details are released! Maayan also wrote about THE KIDS MENU's producers for Ms. in the Biz; click here for the article. Maayan is honored to be the America-Israel Cultural Fund's Artist of the Week! Check out her interview here. As a member of New York Women in Film & Television, Maayan wrote an article about the women producers of THE KIDS MENU for NYWIFT's blog: check out Drive Your Own Career! Maayan is excited to announce she is the Associate Producer on a new comedic short film, THE KIDS MENU! Maayan and the team are raising the funds to make the movie independently - please CLICK HERE to make a contribution!! Thank you for supporting independent film!! Exciting news about a new project coming soon.... Stay tuned! 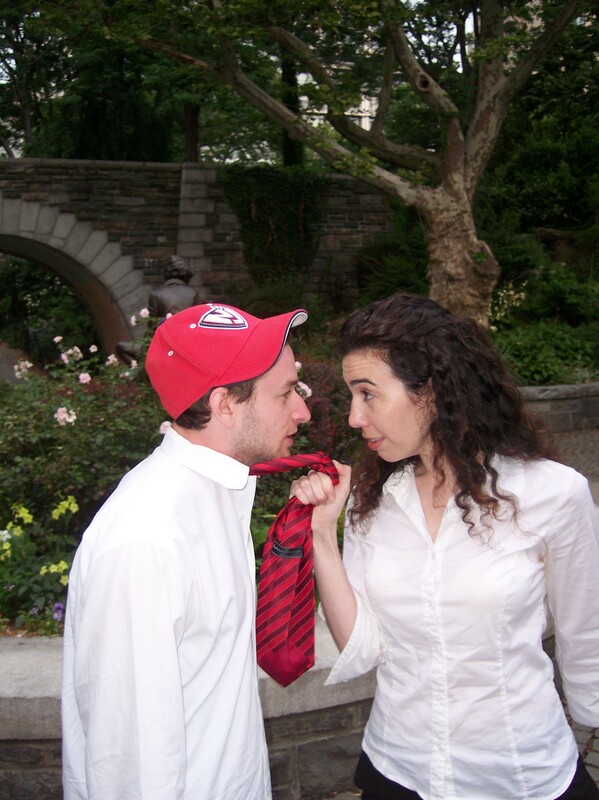 Maayan will be performing on Shakespeare's Birthday Sonnet Slam on April 25th in Central Park! Maayan is working on a new project with fellow talent from Emerging Talent Agency... more details to follow! Maayan is excited to be freelancing with agent Albert Bramante of Emerging Talent Agency! Free and Cheap NYC is back! After a brief hiatus, Maayan and fellow actress/lover of good deals Angela Church are back, recommending Free & Cheap things to do in and around New York City. Check it out! The new Maayan Schneider Quarterly Newsletter will be coming your way in April! To join our mailing list, please write us through the Contact Sheet. Maayan played 6 different roles in Abingdon Theatre's staged reading of James Armstrong's children's play adaptation of ALICE IN WONDERLAND. 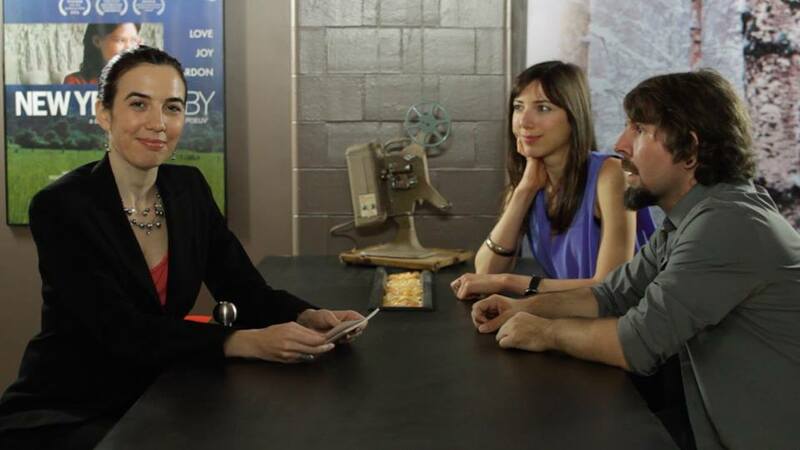 Back in June, Maayan shot a short, fun, silent Mafia film at Maine Media Workshops. The filmmaker was Mario Gonsalves, and the class was taught by the amazing DP Roberto Schaefer (Quantum of Solace, Monster's Ball, Finding Neverland). Check it out here: Mafia Short. Check out our newest "Free and Cheap NYC" recommendations segment right here: Free and Cheap NYC on WBAI. New Blog - Why we LOVE NY ACTORS MARKETING GROUP, or: Stop Procrastinating Now! A new Blog is up - "Why We Love Self-Produced Projects"! Check it out here. Maayan is now working with Creative Media Design as a Hebrew Voiceover Artist - please check out her voiceover clip here. Check out Maayan's New Blog, "Maayan's New York Minute" !! Maayan is performing Shakespeare's Sonnet #99 as part of The 3rd Annual Shakespeare's Birthday Sonnet Slam in Central Park! Maayan played the part of "Annie" and narrated a reading of Angela Church's new play, "Portrait of Posie", at the exclusive Players Club in New York. Maayan recorded a Voice-Over for "Between Here & There", a new short film produced by Stiv Brown and Brenden Gallagher; she plays a concerned Arab mother. The next Maayan's Music Minute: The Grownup Noise Trailer #2 is here! Maayan was chosen to participate in two workshops held in New York by London's Old Vic Theatre (Artistic Director: Kevin Spacey), as part of the "Old Vic New Voices" Best of British Program: CLASSICS, taught by The Old Vic's Alex Ferris, and ACCENT AND DIALECT, taught by Ben Furey (who was the Dialect Coach for the North American productions of Billy Elliot). Maayan's Music Minute: The Grownup Noise is coming soon!! In the meantime, check out this new teaser from the band. Between the storms, Maayan shot a pilot for an English-as-a-Second-Language set of instructional videos for a Korean company. The pilot co-stars Tim Dowd and was directed by Daniel Song of Open Space. Editing interview footage for the next Maayan’s Music Minute! Stay tuned…. New Acting Reel is up! Commercial is up – stay tuned for a glimpse…. Shooting a commercial for director Ray Lombardi of Lorray Design Studio! Maayan's Music Minute, Episode 1: Arron Dean is ready!! Check it out!!! Check out the newly posted Kittay House print job! Maayan is participating in the Abingdon Theatre ’s Quinnipiac Reading Series for young playwrights. New Print Job soon to be added to site…. Playing Anais Nin in a reading of a new play by Barbara Kahn, Unreachable Eden, at Theatre for the New City. 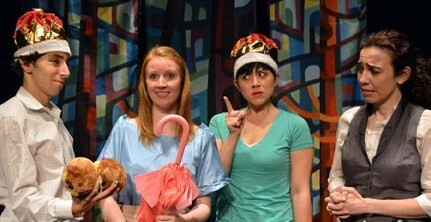 Maayan stars in Barbara Kahn’s The Mole at the Fresh Fruit Festival! Shooting a scene for a new Web Series, Crisis PR. The first episode of Maayan’s Music Minute is in the can! Updates to follow…. Maayan has been invited by director Joan Kane to play the role of Riva in a private reading of Lidless, by Frances Ya-Chu Cowhig. Shooting a scene for director Chris Capelluto. Shooting Alexandra Joe's project, now renamed In Memoriam, in Manhattan and Brooklyn. 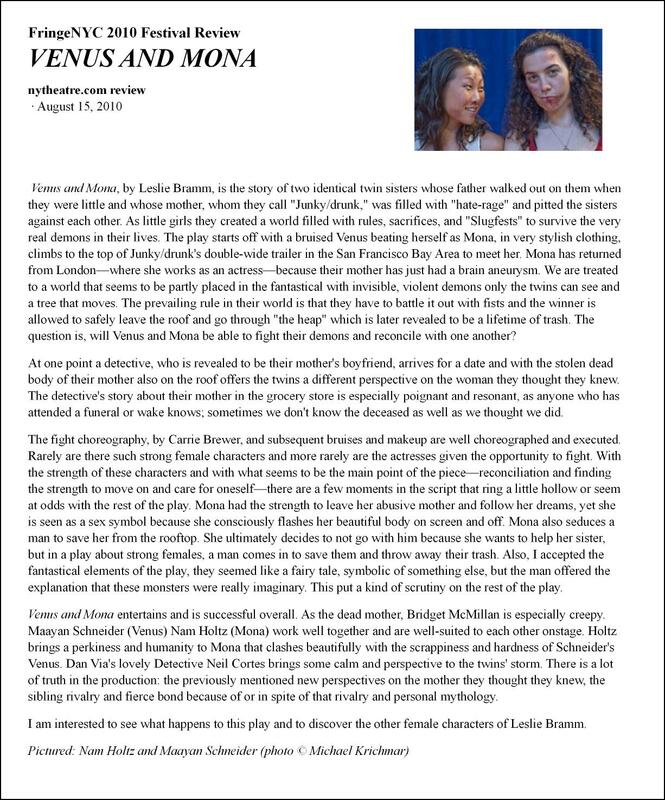 Venus and Mona got a great review - CLICK HERE to read it! 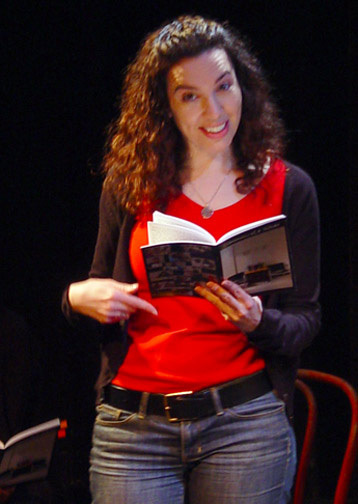 Maayan starred as Venus in Leslie Bramm's VENUS AND MONA at the New York Fringe Festival. Maayan performed in Jennie Franks' "Warrior Baby", directed by Bara Swain, as part of the Abingdon Theatre's The Throne Comedies. Maayan performed as Helena in Grenier Education Theater Group's production of A Midsummer Night's Dream. Click here for photo! Maayan will perform in Doris Hart's "Subversive Tea Party", as part of Abingdon Theatre's Proposal Plays. For more information, click here. Maayan will play a hugely overacted version of THE CRUCIBLE's Elizabeth Proctor in Big Rodent's Fundraiser,"Mock the Classics 2", at The Wings Theater, 154 Christopher Street in Greenwich Village - come throw marshmallows and nerf balls at us! Maayan plays Venus in a reading of Leslie Bramm's new play, VENUS AND MONA. 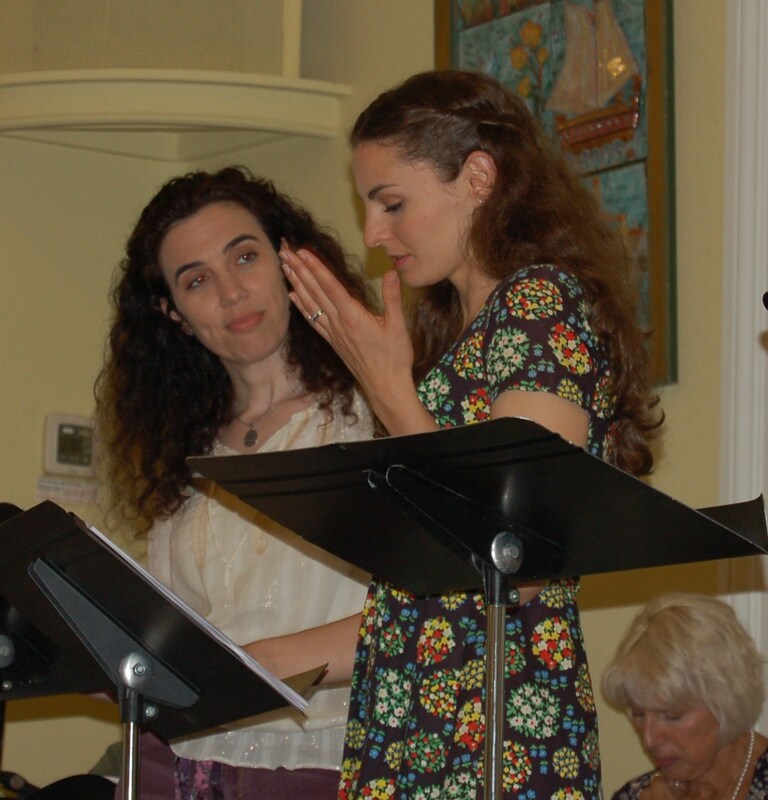 Maayan performed at the Abingdon's Theatre's "Women in Need" Reading, "Communicating Sober" Click here for photo. Maayan is now freelancing with commercial agent Peter Coe of Peter Coe Talent . Closing night of Measure for Measure! Maayan is currently in rehearsals for Shakespeare’s Measure for Measure, performing in New York’s Theatre Three from July 30 – August 8, 2009.